Epic Armageddon is a 6mm scale mass combat game set in the sci-fi (sci-fantasy?) 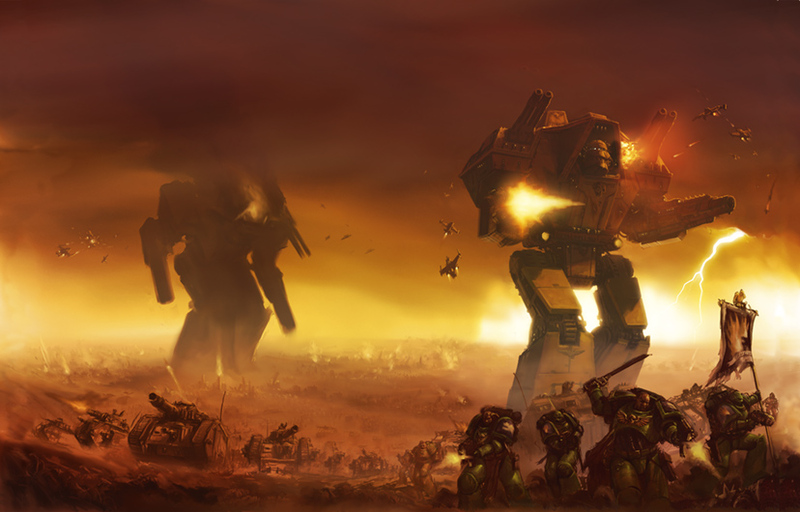 universe of Warhammer 40k from Games Workshop. It’s the most recent incarnation of a set of rules originating in Adeptus Titanicus and Space Marine. It is, however, not that recent. The rules were originally published around 2004, underwent some FAQs and were updated for a while until they were dropped by Games Workshop.